Time tracking software with proof of work, screenshots, activity tracking, application monitoring and in-depth reports. "An incredibly advanced and detailed time tracking product"
I like the wide variety of tracking features included that not only let employee register work time, but allow us to actually see activity such as screenshots and location trackers. The overall data we receive from Hubstaff gives us great insight into the efficiency of employees and whole departments. The software itself is easy to work with and has many visual features that are great for reports and presentations. To certain employees, tracking software like Hubstaff can be a hindrance to the quality of work they provide. Some may be reluctant to use it or find ways to unfairly manipulate the system to their advantage. When used properly, Hubstaff can be a great tool for tracking and improving productivity. Though it might seem like an annoying system for employees, you can focus more on the efficiency and productivity improvement aspect of the system to help make them buy into it. We use Hubstaff as a means for tracking employee work time and activity. We can link the system with computers and devices to check in unobtrusively with employees to monitor their work activity and to keep everyone more accountable. We're also able to provide documented data that can be used to refine our workflows and other productivity issues. I've been using Hubstaff daily in my business for more than 3 years and love it. It's reliably accurate and I also appreciate the fact it takes screenshots for my clients. I'm able to close more clients working from home because I can assure them of my accountability. Highly recommended. After working offline and then starting the timer online it can sometimes seem to not have recorded that time but it's just the way the software works while it's uploading this data to your account. There is no real issue and all the time tracked has always shown up correctly in the reporting online once it uploads after a couple of minutes. Perhaps there is other time tracking software that provides keyboard stroke and random screenshots now but at the time I did this research this was the reason I selected Hubstaff. It can definitely make it easier to close sales as a freelancer because of the accountability you are able to provide clients. I'm solving the problem of providing clients with the reassurance and accountability they require to move forward when hiring me. The screenshots and keyboard stroke logging help to close more deals especially if the client hasn't worked with a freelancer remotely before. What Time Tracking solution do you use? "Hubstaff is a very good tool for time tracking and payments"
I have had the opportunity to use Hubstaff with more than two different companies, and that has changed the overall experience. The first company let me know how much I was earning and did almost everything through the platform, which made the overall freelancing process easier and more comfortable for everyone. The second company does not make use of Hubstaff in the same manner, so I don't get to have a comprehensive view of my status as a worker, but I can still track and view my own hours and enjoy the overall UX on the browser platform. I only dislike two things about Hubstaff: the first one is that the Windows app looks very outdated and has little to no functionality, even crashing sometimes. This has led to some problems, like there's this bug on the app in which sometimes the time tracker won't reset itself automatically, leaving me with yesterday's hours and forcing me to constantly restart the app. The second thing I don't like is that creating time reports for yourself and looking at how many hours you've worked on a given week or month, etc, can get pretty complicated, and all freelancers want this. Hubstaff is great for time tracking but maybe not that great yet for time 'reviewing', so to speak. For companies: be sure to make use of the payment options and hourly rates so people know exactly how much they're earning and please do not expect your employees to go above 80% activity rate naturally, that's slavery. My company expects a 65% activity rate out of every remote worker and that's acceptable enough. We're not machines. For freelance workers: be careful when using Hubstaff, get productive and always keep your tasks organized. As a worker I'm not really solving any business problems but there are many benefits to being able to track your time and see your overall activity in real time. Hubstaff can also act as a great mediator between you and the employer, as your activity is quantified and task creation does allow you to have something to show for everytime. It does help freelancers get by as consultants and remote workers. "Very useful, soft and simple"
The printscreen shoots and how we can monitore if the employee is working or not, differentiating what is manual input or not. One of the most important thing is that you can bill the cliente at right price, because we have all the hours registered in each task. The activity tracking in very useful too because you can trackif the employee is being lazy or not in the task. It shows to you all the low activities at dashboard. I like almost everything, but I think that the desktop software needs a new face. I don't know, maybe a new design or just some polishing. The design is simples, and thats ok. Its a matter of taste. Maybe implementing a dark theme. One of the best softwares to monitore employee, projects profits and projects tasks time. Its very useful and simple to use. Hubstaff have a resource thats take printscreen every 10 minutes while tracking. This is a very important resource where you can see if the employee is working or not. Also, Hubstaff have an activity monitoring, so you can track how much the employee is working, if he is being lazy while tracking, etc. Solving issues about employees who are working remotely, I really can track if they are working or not. About benefits, we're not wasting too much time on tasks, and if we do, why we wasted that time? We have the reasons in manual inputs and the notes. "The greatest time keeper and project manager"
This platform works great for my remote business. I can easily keep track of my time and my employers can easily check I'm making the advancements I claim to be making. Support has also been great all the time, the few times I've contacted them, they have been extremely helpful to fix whatever issue I was having. "I know what my team is doing"
The software has been practically without a hitch in the 4ish years we've used it. It tracks our team's work hours, and our settings have it record 3 screenshots per 10 minute period, which is super helpful. As I explain below, this has helped us address a bunch of issues and in every way makes us a more organized and informed management team. I'd never run a team without this type of software again. (Note: I didn't test this against other providers, so my feedback will be limited in that way). Support responses are delayed- so you often need to wait a day or so to hear back from them. Sales is quicker than support- which sends the wrong message. I'd prefer more screenshots than the maximum 3 per 10 minute period. I'd prefer to average one per minute. It would allow me to do better problem-solving. They advertise a price per user, but it isn't entirely accurate. They charge in chunks of 5 users, so if you go from 15 to 16 users, you increase not by their advertised $5/user but by $25. Ideally they'd have a smart system that auto-computes usage instead of 5 user blocks. I can see 3 screenshots per 10 minute period of all work done by each member of my team. This is helpful on many levels. If someone is not getting an assignment right, rather than guessing how they ended up at the wrong place I can actually see how they arrived there. This is like back in school when our math teachers wanted to see our work- not just the answer- so that they understood how we got there. Screenshots are also helpful for resolving issues when someone isn't online. So, if on Saturday I get a client email that says "We got a security notice of a login yesterday at 4:42pm- was that you?" I can actually go to the work of the people who might've logged in and confirm it- which gives certainty and peace of mind to our operations. On a coarser level, we can look to see if someone is wasting time or doing things that are not relevant to their work. While we don't patrol our screenshots for this purpose, we do look when we see someone's productivity drop. We've seen all kinds of abuses over the years- things that we felt but didn't know until we saw the screenshots. Abuses meaning a waste of company resources/time, nothing evil. We use it to check in on new hires to make sure that their assignments are clear and that they are allocating time well. This has helped us find a lot of waste. Back when we used to use freelancers this was invaluable as it gave them a heightened sense of responsibility. When we implemented Hubstaff- 4 years back- we interestingly saw an immediate drop in time reporting from people working for us remotely. Their hours dropped by 30% immediately. I don't think it was intended deception on their part, I just think that people reported their work hours based on how long it felt as opposed to actual clock hours. The transition to actual clock hours saved us a ton of money. We process our team's payments based on their HubStaff hours. This makes it really easy to do payroll. For when we are doing client work on an hourly, this tool gives me exact numbers for billing, which is really helpful. "Great, simple time tracking for our team"
Time tracking is super easy with Hubstaff! It's easy to see where my time has gone throughout the work day. My only issue is the fact that tracking time on mobile and desktop doesn't seem to sync correctly, so if I start a timer on my phone, the macOS app doesn't reflect sometimes. Great for team time tracking / employee time management or anyone looking to track time to specific clients. I would recommend using it to also manage a larger team of employees where knowing what they are working on may be difficult to know, even in the same office. 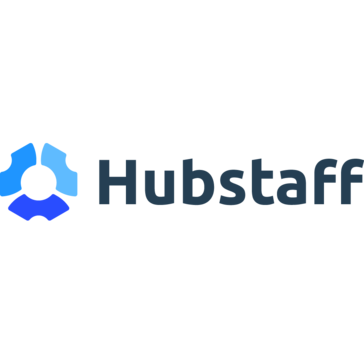 We have found Hubstaff to be useful for tracking meeting times with clients, as many of our employees are out and about on client meetings, shoots at events, and doing work outside the office. We are solving the problem of time tracking for a variety of our agency's clients. It's easy for people in the office and for people out on shoots at events. "Perfect for me as a freelancer to track my project-time"
Now I can easily track my time for ever single project and can now find out, how much work I put in every customer. That makes it more easy for me to send right invoices and proofe my worked time. Easy to use, fast to implement, especially for time tracking, it is great and simple. I like it, thank you! I don't like the design very much, but I think this does not matter. But what I also do not get is how I can easily show the whole month-time of one project. This would be great if I can see that really easy. Easy to use, fast to implement, especially for time tracking it is great and simple. What I do not get is how I can see the whole month-time of one project. This would be great if I can see that really easy - maybe you find out faster than me. You can view the entire months activity on a project by using the Time & Activities Report and choosing the entire month using the date picker at the top. We also welcome any feedback on the design. You can send that and anything else you'd like to say to support@hubstaff.com or contact us at https://support.hubstaff.com. I like using this timer for work because it makes it very easy for invoicing. You can pull reports as needed and screenshots during the time you worked. It helps overall when you're needing to check your work and activity percentage. The only thing I could say that I dislike about Hubstaff is it tends to glitch often. Sometimes I will be working and the timer will randomly shut off without warning. I have also noticed that sometimes it won't update your total time worked for in real time. So I have to keep refreshing and checking if the time is accurate. I would make sure to keep checking your time log to see the total time worked. The benefits of having Hubstaff is it makes administrative work easy. Time is money so to be able to accurately have the number of hours worked is important for billing. "Money Saver and Time Saver"
We can easily see who is doing their job and who is doing it well with this software. It is mind-blowing how many people will cheat you out of money, and Hubstaff helps you easily see who does that and who is worth their keep. There are many options in the settings that help you do exactly what you want to do. You can track hours for different projects/tasks. With recent improvements on Hubstaff's side, there's really not much that I do not like. There's a ton of different features that I don't use, but I'm sure others do. The features that I do use are great and make it well worth the money. There is no other software out there that does what Hubstaff does. Hubstaff has practically saved our business over and over with all of the money we have saved. Catching new employees who are only here to make money and not do a good job is essential. You can see the activity levels and the progress in their work. You can never know who is sitting there not doing their job, without software like this. We can easily see which employees are doing what they should be doing and if they should keep their job. You are also able to see how many hours are going towards certain projects/tasks. Being able to SEE what employees are doing is major and has helped save us so much money and time. "Great Software for tracking Freelance projects"
The best qualities about Hubstaff it's a light very intiuitive software, that allows you to track time and activity of different projects, so I know how much time I've spent on different tasks of different projects, therefore I have a better control of my progress and payments. I also enjoy how easy it is to track my employees acitivity and their performance. Mobile version and specially the android version could use some upgrading. Android version doesn't allow screenshots and productivity metrics, and that really limits the advantages of Hubstaff on mobile devices. Android and browser version really need some more investment and inhancment. Their CS is very good! Fast and useful answers. I work on academic projects and customer service business. Hubstaff really benefits me in tracking how much time I'm spending on each project, and if it is compatible with its progress. "HubStaff changed my business dramatically"
The automated time tracking helps me to understand who of my Freelancers gets what and I can even assign the hours to a client project. This made the hours tracked and paid way more accurate and paid off from the very first month of using it. There is not really a lot to dislike. One minor thing so that I would like to see added is the ability to hide screens from the recording. I'm personally working with 3 screens and not all should be visible to all customers at all time. So being able to delete screens or at least blur them would help a lot here. Time tracking got way more transparent and thus more accurate. To the benefit of the staff as well as to the benefit of the copmany. Hubstaff has made it possible for us to clearly communicate expecations and closely follow the output of our destributed staff and vendors. I think it would be helpful if there were a bit more clarity between Hubstaff timekeeping functions and timekeeping as it relates to using their system to pay your team members. We had lots of confusion with this in the beginning, but the folks at Hubstaff were quick to respond and very helpful in getting us through the issues we were having. Running any kind of distributed team can be a challenge. Hubstaff helps us to clearly communicate what we need from our Team Members and they can tie their work efforts directly to those needs. We can tell how much time Team Member 1 spent working on shipping x vs refactoring y. Very helpful. "Hubstaff is a very cool and Great for online teams!" Hubstaff is a quick and easy way to track your time working on a project. I like that I'm able calculate pay easily. I used only for Windows and works great. It is easy to use dashboard with graphs of productivity. Also you can view daily, weekly, and monthly productivity rate. I would highly recommend this to all my friends & previous co-workers to work efficiently with less supervision. Limited features in order to use it for free. It doesn't allow me to write-in a description of activities accomplished on the billing. I would definitely recommend it to others. I was able to monitor time spent and activity levels of employee and also to monitor screenshots and change frequency of them being taken . "Frees up Hours of my Time Every Week!" The most valuable aspect of the software is the project costing that it allows us to do, while simultaneously eliminating the need for an extra 15 minutes at the end of the day to try to remember how long you worked on each! This means more accurate cost calculations, as well as zero time creating "recall" invoices for contractors. I would like a few additional reports, and the ability to slice and dice a little more. The problems of accurate job costings as well as timely and accurate invoices for freelance staff. It is really a win/win with contractors being paid much quicker and providing the business with more actionable real time data on which we can base business decisions going forward. can't track and see common time in os app (it is available only per project ). It will be nice to see all the projects day total in the os app. It can be settled optionally in app settings. Also, I dislike a few setting options in os app. can't track and see common time in os app (it is available only per project ). It will be nice to see all the projects day total in the os app. Add ability to send daily time reports with common month time and progress. remote work, task reporting, team member review. "Hubstaff is NOT Accurate in Assessing Activity"
It keeps employees conscious of being watched, possibly paranoid, but that's OK. I have Hubstaff and tested the "activity" analysis by working all day long on a variety of usual daily practices online. It showed 35% one day, 40% another day, 26% yet another. It is seriously flawed. Maybe working on Chrome is an issue, I don't know or care. I do know that any employer who relies on this as anything but something to grab occasional screenshots of a remote employee, is making a huge mistake. This is only good for giving employees the feeling that they are being watched and had better work. BUT, it's not accurate in determining activity rate. The company wants t make sure employees are working hard, as they should be. This gives them the feeling that they are being monitored. It is somewhat disturbing. Activity is not tracked using the Chrome extension. Here is our support article on how activity is tracked. We don't believe any employer should rely solely on Hubstaff activity scores when assessing performance. "The ultimate time tracking solution"
What I like best about Hubstaff is how it integrates with our payroll, so it makes payment really easy and quick. It's also really simple to set up and start using it. The idea that it takes screenshots regularly might not play along with some people, but they make sure to safeguard your privacy really well. No one has access to them but the admin staff from your own company. Make sure your end-users understand and comply with all the features of Hubstaff. We were looking for a time tracking solution that could help us improve productivity as well, Hubstaff helped us accomplish that, too. The perk was it make our payroll process so much better, too! "Hubstaff is must-have for out of office employees." I work an odd schedule and tend to work all throughout the day. Sometimes it's for 6 hours, other times it's for 30 minutes but whatever the time increment is... Hubstaff makes it easy to keep track of every minute I work. Hubstaff's phone app and computer app do not seem to communicate very well, I often have to get approval to change my time card... I will be contacting Hubstaff support about this. Tips for using the phone app or the computer app, does Hubstaff get confused if you intermix these apps ect. I do not work in an office setting 5 days a week so Hubstaff makes it easy to track my time. "Hubstaff is allows me to track all my staff effortlessly "
The 2 things I like most are the fact that Hubstaff takes screenshots so I know my staff are hard at work, and that it logs time with hourly rate making it easy for me to pay my staff. Nothing I dislike about it right now - maybe the fact my staff have to open it up to login? I wonder if there could be a simple chrome extension they click which then starts the tracker?? I'm able to work on my own tasks without constantly having to check in on what my remote staff are doing, because if I want to I can just check it at the end of the day. We do have a Chrome extension that can be used but it doesn't take screenshots, track URLs or track apps used. It can be downloaded from the Playstore or at https://hubstaff.com/download. Please let us know if there is any other feedback or questions at https://support.hubstaff.com. What I like the most about Hubstaff is that I have the ability to check how active I'm being. It's normal that at some point of the day you get distracted by something, but once you remember that you have a productivity timer, you get back at your job easy. Also, the fact that you can see how much time you've been idle for, helps to keep track of things such as lunch time or meetings way easier. LAstly, I like to see how much time I had done for the week and know how much exactly I'm going to get paid. What I don't like much is the screenshot feature. Even though this is meant to keep track of the kind of stuff you are doing at work, and making sure your employee can see that you are spending time with the things you really need to focus on; it comes a bit intrusive because there are things you wouldn't want the c-levels from your company to always see; so that's not that comfortable sometimes to do, but it also forces you to not do what you are not supposed to do on business hours. "Great Time Logging Software. But needs to be more cheaper and User Friendly." Great tool for Managing team and time logs. We can now measure our time and especially measure the time of remote workers. Its also great if I have to give reports to clients. So client dont ask much regarding the efforts that has been put by the agency. Reports and time log is really awesome. My friends use the feature of paying the freelancers or contract employees via Hubstaff and recommends it to be great, however, I have never used that feature. Quite expensive for a small team. User Interface is extremely confusing. If a new user joins Hubstaff to check reports, it is one of the hardest part for them. Support is quite poor too. You message them today and they will reply you the next day. Although they have attached a chatbot in the dashboard, but no one replies. Most recommended for time tracking. In a longer-term saves you a lot of money. It is a great tool for time logging. However the user interface is really really hard to navigate. Although the color and button scheme is quite modern, the overall travel on the dashboard is quite hard. It is really awesome if you are managing freelancer, remote workers or contract employees. It brings such a transparency for the entrepreneur so everyone is in loop, client and employees. "What I think about Hubstaff"
Do we have an option to see the earnings for 2 weeks? Not just 1 week? I don't like it when it will show one week earnings. Well, its okay but it will be best if you add like 2 weeks option in the dashboard. **IF YOU HAVE IT ALREADY, I can't see where to update, maybe you can make that more visible?? You can use your Time & Activities Report to see 2 weeks worth of time or more since you can choose a custom date range as well as other filters. Please contact us if you need help finding this or have any other questions at https://support.hubstaff.com. It's dead simple to start tracking time on the day to day basis (just one click!) and the idling counter helps me not accidentally stay clocked in during lunch. The UI for the desktop viewer makes it very easy to see how many hours I've worked this week, which I find very helpful. I don't love having screenshots taken, or not being able to add my own items to the to do list (admin has to do that.). Sometimes the browser version can be strange in the way you have to click through to change tasks, like how you have to stop tracking entirely. They feel quite different in use. As long as you don't mind Big Brother, it's pretty nice. Keeping track of my time. At a previous job we did it manually, and I would often forget to-- this way, I'm making sure I'm tracking all of my time. "Very powerful, but also scary (for employees)"
The depths you can track time, browser history, screen recordings and even mouse activity and geolocation is astonishing, you can be sure your employees are working as expected, reducing exponentially the trust issues of remote working when hiring someone overseas. The same points that I like. As a manager, I dig to read reports from the employees to make sure they're meeting their goals properly. On the other hand, I've been there already and I know how insanely scary this is. You feel like all your privacy is voided. Great for business, not that much for employees. It's the best, if you want to track EVERYTHING. If you value privacy though, a simpler time tracker could be more appropriate. My time tracking became a lot more accurate after shifting to Hubstaff, the multiplatform app is a great addition, and makes tracking a breeze even when doing cross platform work. Also, we no longer have trust issues, it's fairly easy to check the effort put into work with all the stats the platform provides. I really enjoy how visual the system is. Its very intuitive and easy to set up right from the get go. Using other time tracking systems was okay, but the ability to capture screen shots is really nice. We dont sit their and monitor employees, but if things seam to be moving slow, we can log in and see whats really going on. Also, knowing what URLs and which applications are team uses the most is very valuable. "An innovative tool to manage and complete your important tasks." You have better chances at completing the required tasks as you are aware that your activities are being tracked and you try to complete the given tasks in the allotted time. Weekly time and activity percentage are recorded which automatically motivates you to try to do better than the previous week. The span of idle time which is 10 minutes is very short. Sometimes you are trying to understand a topic by reading it thoroughly and forget to strike a key. The criteria for calculating idle time should be different. A great for efficiently managing the time and motivates you to complete the required tasks as soon as possible. I love the reporting capabilities ... being able to see at a glance how much is being spent on labor for each of our products has been really great. Also love that I can opt to receive a notification when we are reaching our budget for each project. I don't like that you can't apply a set dollar amount against a staff member's hours ... i.e. I can only pay for one whole day of work or more, I can apply a $200 payment against those hours if I need to. The one time payment method is sort of a work around but it doesn't "pay" the hours within the system so it looks like they are still owed that money. If you don't always pay for a set payroll period, but make payments throughout a project - sometimes against a full set of days but sometimes a set dollar amount, you won't be able to use the full reporting capabilities. We are solving the problem of having paper hours logs floating around from our contractors or simply using spreadsheets with no reporting capabilities. We are really benefiting from the time tracking, budget monitoring, and reporting capabilities. "Great way to run a small business"
Hubstaff does it all. I can monitor activities, look at screenshots, bill customers (although I have not yet tried that), and get weekly reports sent to my email. I wish that there was a way to have concrete proof that staff can "fake" results for activity levels. Currently, Hubstaff will not confirm if a user is faking their activity levels but I can tell by how much they get done or not get done. Hubstaff can say that it seems like the activity is faked but cannot confirm (likely a liability issue). Other than this small complaint, the customer service is good and the product is great. we use hubstaff for all staff monitoring and this is a great way to show clients how much time is spent on each project. Knowing accurate data about projects and clients allows us to better price projects in the future. My favorite part about HubStaff is that it allows you to see screenshots of timed work to record everything important in an easy way to view and browse through the screenshots of work for quality control purposes. Sometimes when you tr to look at a full week of work on timecards it is hard to view it all as you have to scroll to the right and left to view everything, or zoom out of the screen to see the whole picture. It's a bit hard to have to keep navigating through with the scroll bars to see the info so widely spread out. Hubstaff has a host of features and an array of options available for time tracking and other methods and features. It is important to know why you want to use it in the first place so that it will benefit you. Being able to track and monitor work for quality control assurances because I depend on those visual screenshots to help see what is happening on the team. Overall, I really have no issues with HubStaff as it does dutifully exactly what it promises to do and more. "Hubstaff gave us the confidence to open remote working to everyone"
Hubstaff is friendly and easy to use, and we've not had any resistance from staff who find the tool easier than more traditional time keeping tools. One big factor in smooth staff acceptance the fact they could see everything their manager's were going to see, so they knew the process was transparent. Logging into the site and having to select the app and not "Talent" each time was frustrating for users who were getting used to using the app. Microsoft Edge support is missing from the URL logging, which gives us only partial usage information for some of our users. Give it a trial and be open with your staff about your goals for introducing the product. We wanted to allow development staff more control over where they work, and when they work. Using Hubstaff as our time keeping tool and project cost management tool allowed us launch the programme internally with a single new tool, helping acceptance and minimising risk to the business. After trailing Hubstaff with a small team, we decided to extend our planned remote working policy to cover everyone rather than just development staff, as we felt confident we had the tools to manage a company wide rollout. The automatic screen capture feature. This is important when all of your team is running remotely. It keeps them attentive to the task and they are then free to take their well-earned breaks. It is easy to run the team on the team management page. When you have a large team that exceeds the plan, you can easily turn off the inactive members, then you won't be billed for the extra users. The activity level indicator on the same page is also great. When you see it dropping, you can ping the staff and see whats causing the work slowing down. This sometimes sounds like a Big Brother type surveillance. But when working with a remote team, this is very handy. And you don't always need screenshots. The Chrome add-on can keep track of time without the screenshots just fine. So use it as you need it. The report generation is not totally intuitive. Some of the things are actually covered by several different pages simultaneously. I think it would be better to have each of the pages for a different purpose. Definitely. It is value for money. There are features coming in, not as fast as you want. But they are doing it. Also, the features are really good as it is. Accurate time tracking, easy report preparation and easy billable and payable calculation. Made invoicing a lot easier for me. Clients can have viewer accounts and can stay updated in real time. Very good time tracking tool that lets you monitor the performance of your employees. It also allows you to review their activity, generate different reports, integrates payments add/remove time, create notes, tasks etc. Sometimes it may be a pain in the neck if you are reading something and not moving mouse or typing on the keyboard and your activity can get into the red. Simple time tracking, generating different reports also allows you to review their activity, generate different reports, integrates payments add/remove time, create notes, tasks etc. I like the fact that we are able to monitor our remote staff without too much overhead. It was easy to setup and we manage to set up Hubstaff within a day. Nothing much to dislike. Generally the whole experience has been very pleasant. We have significant amount of staff that are working remotely. However, there's no way to effectively monitor their productivity until we started using Hubstaff. It makes the employees more accountable for their time given that they already have the privilege of working from home. We were also able to understand the time spent on different projects to help us better staff the various projects. 1.- Speed at the time of starting the software, the fact of opening quickly to its clients and administrators is quite progressive and efficient, since the vast majority take this into account to guide themselves if the program is worth the wait or not, together with all its characteristics, HubStaff has become a fast program that is firmly concerned with customers since the fact of offering the best speed is a factor to consider. 2.- Accessible test version, with the word "accessible" I mean that this program offers the facility that all the people can know the program firmly and give the positive or negative point about it, knowing each one of its corners and Seeing what makes this software so influential. 1.- Very bad design, the design that it has is very bad and this although many people do not believe it, it influences a lot when choosing a software. I think that this program should improve this interface so that people are more encouraged to use it and can have a better concentration with the time they are taking. 2.- Prices, the prices that HubStaff has are very high, this company places these prices because they think that their functions or what they have implemented in their software are very expensive, and even if they are, they should think more about the client and offer accessible prices for all where each of the companies can afford the tariffs implemented. I would recommend this program because I have seen that there is a very big difference when it starts to be used, and I believe that in any company where it is applied, it will show results immediately and exact differences, they can take the time of each work without any interruption and exactly measured . This program has benefited me a lot because easily each one of my employees and I as Administrator, we can remotely control the time that is being worked or in other words, the elapsed time of work, you can also take the extra time, within my company The Payments factor has benefited me more, because with this program we can configure its characteristics and place automatic payments every so often, this factor has saved us a lot of work since we do not have to spend long time to get a figure to pay for each person. "Cheap, automatic processes and instant payments." 1.- Taking of time of projects. The taking of time in Hubstaff is quite beneficial and I think that this is the factor that gives a strong point to this software since it shows the amount of time invested in each task performed by each worker for each of its responsible, this platform counts with multiple tools that facilitate access for each person to activate or deactivate the timer whenever you want, this to achieve a better work organization and the employee can enjoy different tasks or tasks, so that the administrator of them , can see the percentage worked for each one. This is the most beneficial thing that it has since thanks to the incorporation of PayPal in this platform, you can pay with a single click to all the employees measuring automatically the time they worked, this is quite innovative since it saves a lot of time to the administrator. The prices offered by HubStaff are extremely low and in this way it offers a platform that is quite efficient and beneficial to all those people at affordable prices where a large number of companies with low financial resources can fully access their functions. I have not found any negative points in this software, since until today I have not had any problems and there has been no interruption, this software is completely designed to measure and with the best innovations in the market, thus providing a platform where the administrator can work efficiently with clients, and provide variable times and extra work times, measure that time to pay an adequate amount of time worked, and the best, automatically. I hope this software continues to offer the best to its customers and without any errors. I would recommend this program because it is at a really affordable price and any company could pay for these rates, this way you will enjoy a program that will do the work for you, it will show you percentages of work, graphics and much more, all in one software that will help you to completely change the habit of your company. This program has benefited me a lot because I have managed to successfully control my staff and have led to a better organization within my company, since we make instant payments and in a conceited and automatic way, it is quite good that the program makes the Most of the work for you because you can dedicate yourself to other more important things while you save time with this software. I hope I continue to provide these benefits over time so that my company can follow the path it is currently going. "this software helps me keep my workers honest and tracking time and payments owed accurately"
I like that this serves as a checks and balance system for not only keeping time but screen recordings while managing a remote/virtual team. It would be nice if you could kind of set the screen shots to auto play almost like a online phonebook instead of clicking through them one by one. If you are looking for software to record your teams screen to ensure they are working on your project and track how much you own them then this is a great software. Also good to pull up at the end of the year and see how much money you have paid to a specific contractor. Time keeping as well as a checks and balance system for ensuring remote workers are working on my project and only billing me for time worked on my specific project. Hubstaff works both in my personal and professional life. For the former, I use it as a sort of makeshift to-do list, where I have to finish my tasks within a given amount of time. It's especially effective at helping me with this because I have a set daily routine. For the latter, we have it installed in the office. It helps our managers keep track of what we're doing all day and ensures that those who work hard are rewarded. It also tells them what we've been working on. It hangs up quite often, especially when updates are incoming. I noticed that it also causes my laptop to boot slower, which is why I have it disabled at startup and then I have to manually tirn it on after. Not ethat reinstalls resolve this issue. - Integrate a to do-list feature within the app's dashboard. There's a lot of empty, vertical space anyway. - Integrate a timer system where it notifies you when you've been working on a certain task fo X amount of time, just to let you know that you've done it enough or that you've been doing it for too long, etc. "A good app to track your work"
"Hubstaff is the best app to track time!" I love how simple it is to use and the fact that you can have screenshots and activity levels (mouse and keyboard movements), that is very important when you have a remote business. Also, their support team is great, they always get back to me very fast whenever I'm having issues. The only thing I don't like it's the price, you have to pay for a plan instead of paying for each person you add, therefore if you have 31 employees you will have to pay for the 40 members plan even if you are not there yet, which can be expensive if you are a startup. I definitely recommend this software if you have a remote team, and even if you don't, it is very helpful and will save you a lot of time, also you can pay attention to what is working an what is not for your business so you can make things better each time. We can keep track of every team member, you can see their screenshots and activity leveles (mouse and keyboard) that way you know if they are being productive or not and if they are doing what they're supposed to, it is the best software I have used for time tracking. I like that it's very out–of–the–way and takes up minimal computer resources. The online dashboard is very user–friendly which is a big bonus. I do not like how I have to manually stop my time in between projects. I am working on 2 projects with their own allotted weekly limit. Hubstaff automatically stops tracking if and only if I reach the total weekly limit. I would rate Hubstaff 10/10 if it can automatically stop tracking if I reach the weekly limit for one project. QA, team management, task delegation, and monitoring. Hubstaff semi-automates these problems. The only thing I like about Hubstaff is, it's so easy to login and once you're in you can start tracking your hours. Simple start and stop button and you're good! I hate the idea that once your idle it automatically stops the time. For some it may be efficient to use to see the productivity of their employees but for some that only uses hubstaff to know the total hours of work, idle may be present specially if it requires you to research and read beyond your PC or laptop. For those who needs to keep track every move of their employees this is Go getter! But for those that only needs to track the hours daily I DO NOT recommend this! It will annoy you in clicking start button again after being idle for only 7 minutes!! None that I could recall when we were using this. At first it helped with tracking hours but with it being idle when you haven't touched your keypad or mouse for 7 minutes annoys us the most! "Robust, Reliable, and Easy to Use Time-Tracking Software"
Excellent support, intuitive and effective user interface. Nothing. Truly great product backed by an incredible support staff. HubStaff's support team is incredible. There were some reporting requirements that we wanted to see added to HubStaff's product so we sent a feature-request to them, and they actually implemented them in under two weeks. Their implementation of our request was perfect. Usually with most companies it will take months or years for feature-requests to be addressed, but HubStaff took care of it right away. I'm still really impressed by how responsive they were. Tracking time our team spends on individual client's projects and on internal projects. "Good Tracking of employee time and effort." It's easy to use and it doesn't bog down my computer while running in the background. I work remotely for an organization that use Hubstaff. And, it helps me by saving my time and energy to maintain and report time logs for the work I do. I like the feature that it allows easy switch between projects. I love the dashboard and ability to store contractor and client pay/bill. I also think the customer service has been great. I don't like that you can't use the Client field in the basic. I asked to pay just for that feature and was unable to. I also don't like that the ability to integrate into QB online doesn't work in a practical way. I had to buy an API so we could use both. I also wish I was able to store the client's email in their profile so we didn't' have to enter the email each time we send a report. You can add emails to clients when setting up the client. This is covered in this support article https://support.hubstaff.com/how-do-i-add-clients-to-hubstaff/. Also, if you haven't done so would you mind contacting us at https://support.hubstaff.com so we can understand more about your QB online issue? I've used Hubstaff for time tracking in my company, I've never used it individually, but I've worked with it with two separate companies so far, and when comparing it to other time tracking and monitoring tools, I find Hubstaff to be one of the most easy to use and amenable. The thing I like the most is the comprehensive user experience from my end, though I can't speak for admins. As a worker I enjoy being in control and up-to-date with my activity. I have realized that I can handle my stuff easily, I can manage everything and of course it helps to increase me output. I can handle more and more projects. Hubstaff is the best timer I have experienced with, having experienced many timers as far this is the best. I have two machines mainly windows and ubuntu they have both support for both OS. I like about it when during offline the app can cache eight hours of work unlike other timers. I like also the web interface on which I can monitor my daily, weekly and monthly quota. The report has preset's for a time range and also can adjust the timezone settings, no confusions on the reports. Doing a network error hubstaff would nag about to report a problem and pop's up a feedback form, actually it's not's hubstaff problem but the network error. The nag screen on hubstaff is so annoying and it does not have a cancel button just a send button hope the programming team would improve this. I would highly recommend Hubstaff app for remote offices. The time card, being a remote employee it's hard to justify the painful hours I work, the app being able to monitor every ten minutes along with screenshots help me to get paid on the hours i rendered. What is really valuable for our remote team is the screenshots feature that enables us to stay on track with the progress without disturbing the team. Hubstaff simplifies the payments to our team and rather than spending our time doing paperwork it gives us the opportunity to focus on developing and delivering value to our customers. "Very accurate and great app for tracking your work and progress." Dashboard with all the information needed to check your activity, earnings. Not being able as a staff member to delete screen shots which have a sensitive data. As an employer this is the best and easy way to track progress and productivity of your staff members. As a worker you will have a peak of performance at any time, dashboard to check all your stats. So I will recommend this app to anyone. Keeping productivity at top levels all the time and accurate wage counting. I like how is simple to use Hubstaff, I just start the play button e then it's working, I use to record my times on activities and I found very useful. I work as a freelance so I have to organize my time, and charge my clients based on that time, and for this Hubstaff is very useful. * We monitor all Hubstaff reviews to prevent fraudulent reviews and keep review quality high. We do not post reviews by company employees or direct competitors. Validated reviews require the user to submit a screenshot of the product containing their user ID, in order to verify a user is an actual user of the product. Hi there! Are you looking to implement a solution like Hubstaff?